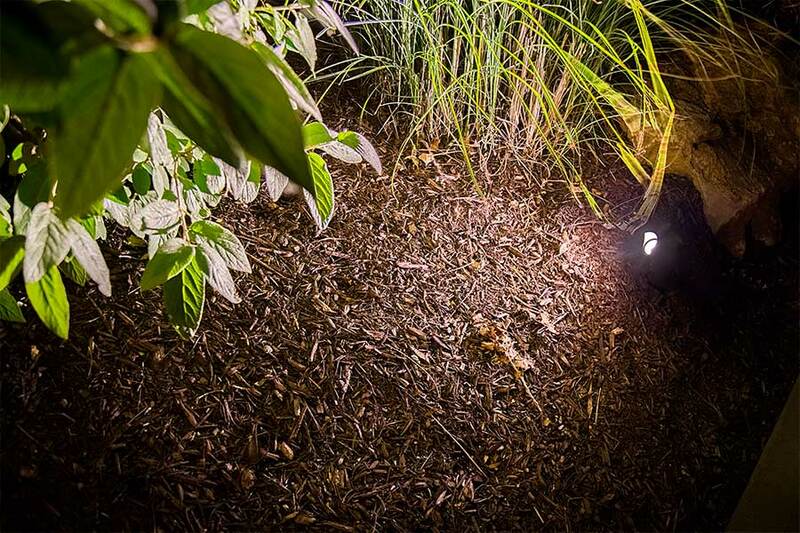 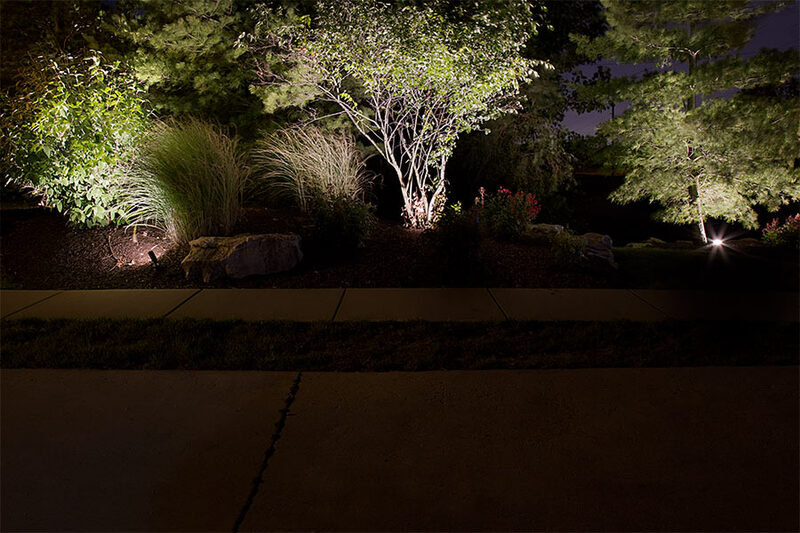 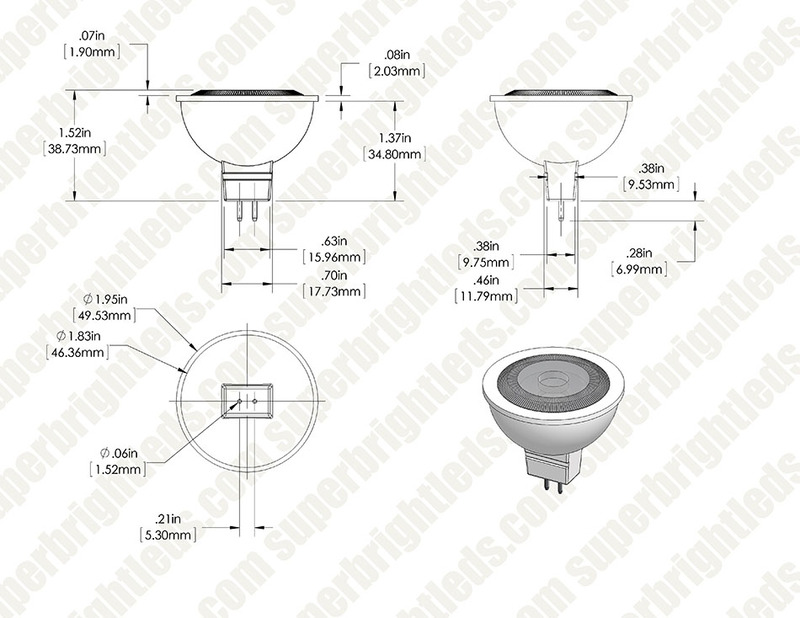 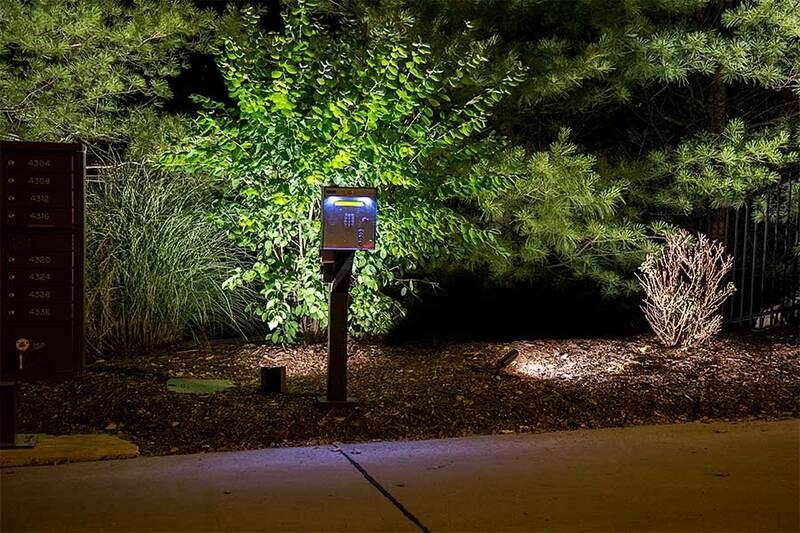 This LED spotlight bulb can fit numerous outdoor and landscape applications such as driveway lights, path lights, gazebo lights, paver lights, and malibu lights. 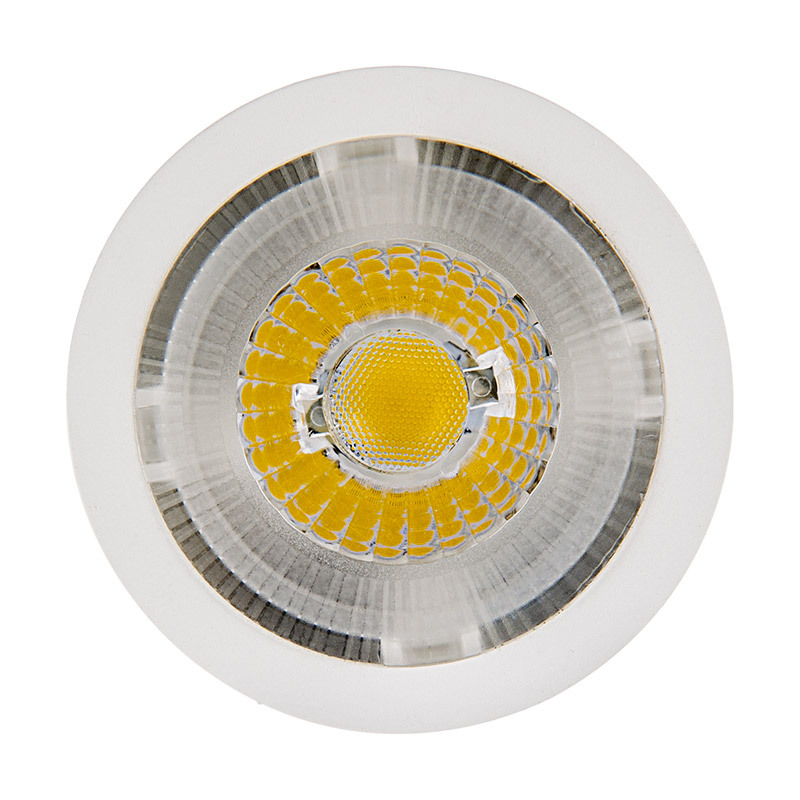 The MR16 bi-pin bulb has 1 cool-running COB (chips-on-board) LED with an output of up to 685 lumens of warm (3000K) or natural white (4800K) color. 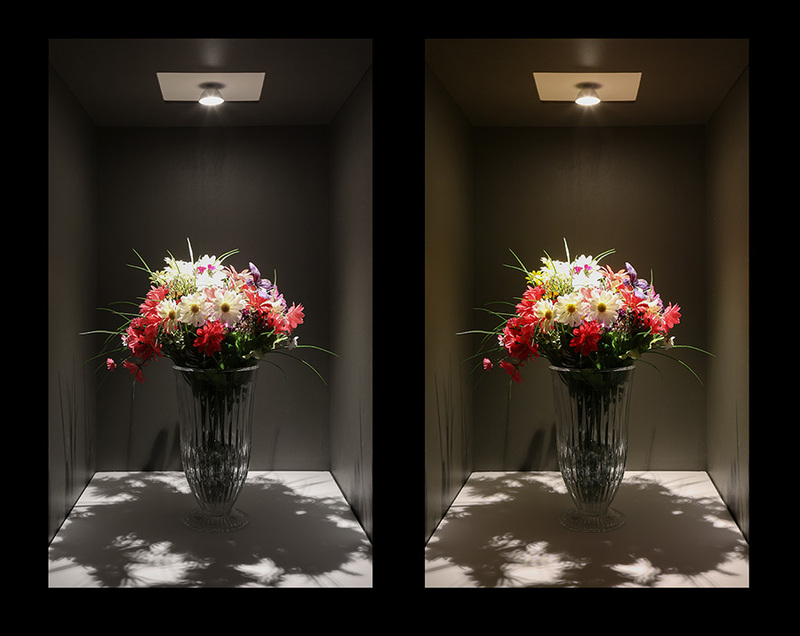 The multifaceted reflector evenly displays a 40° spot beam pattern and eliminates the sharp contrast between illuminated and non-illuminated surfaces. 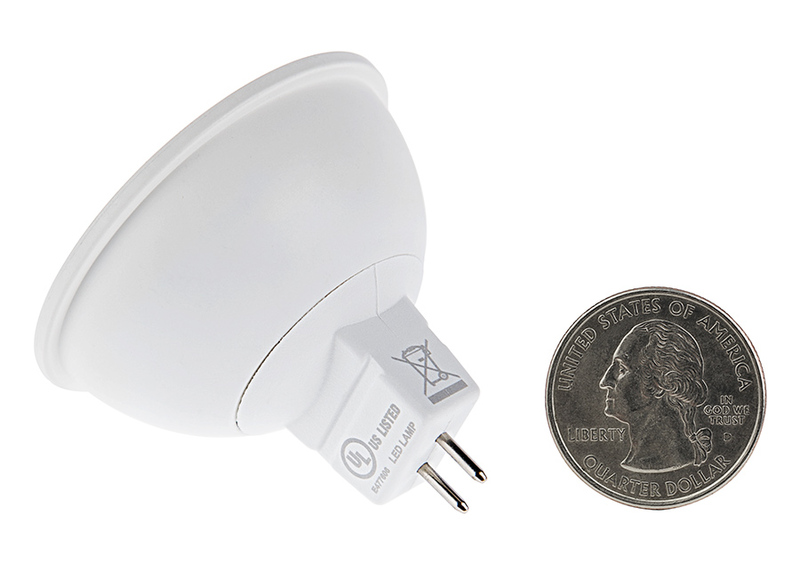 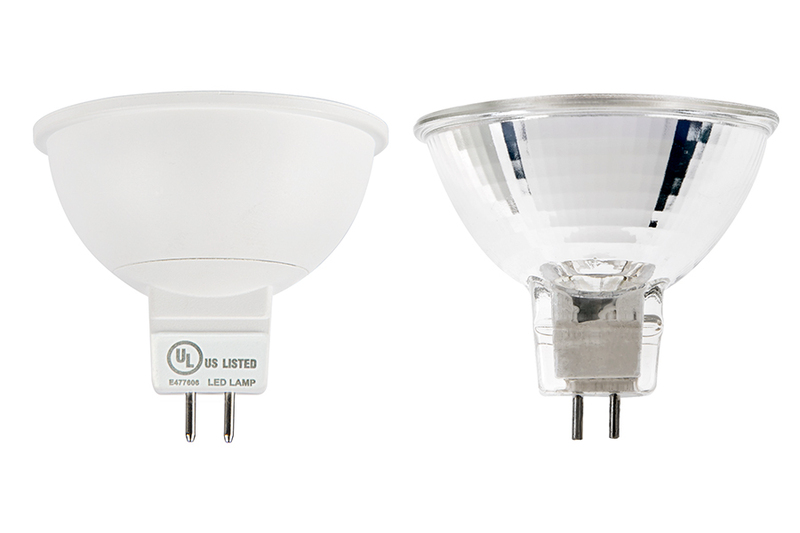 This non-weatherproof bulb has a GU5.3 bi-pin base for easy plug-and-play installation in weatherproof housings. 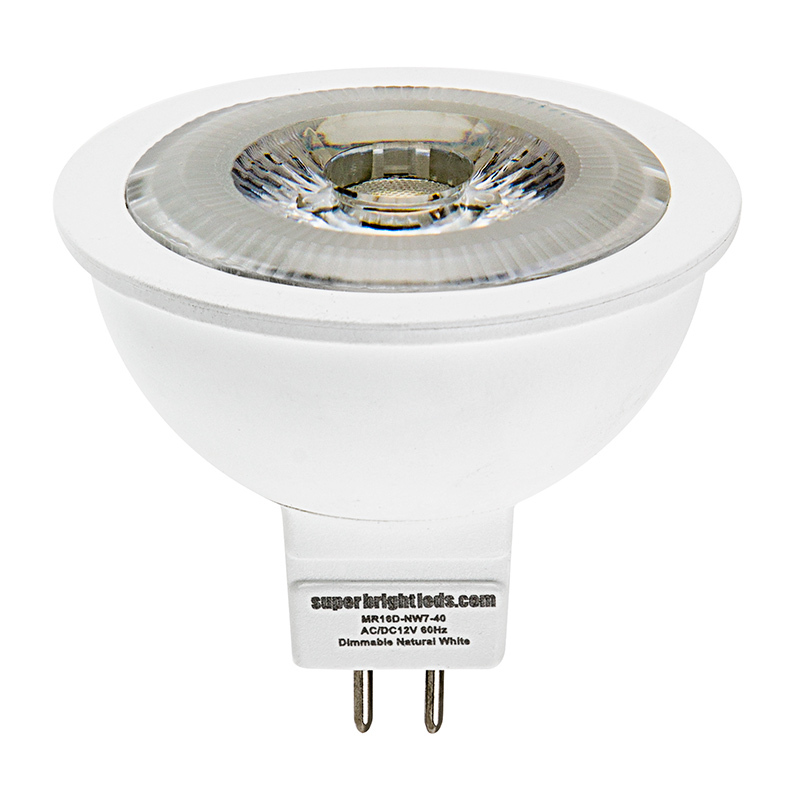 The energy-efficient bulb has 12V AC/DC operation and is designed to last 30,000 hours—25 times longer than incandescent bulbs.